mama elephant | design blog: Mama Elephant April Sneak Previews! Mama Elephant April Sneak Previews! Welcome to our April release kick-off! We are back this month was an assortment of goodies that are all sorts of fun! We've got 4 new stamp sets as usual and 6 new Creative Cuts dies, 3 of which are stand alone designs. First came the cats, then the dogs, boy, girl, Santa, reindeer, then the bunnies. 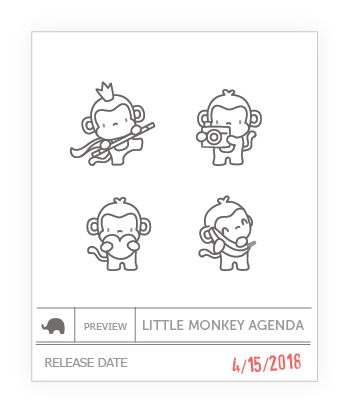 Now we've got these absolutely adorable monkeys from Little Monkey Agenda to add to your Little agenda collection! They are bite sized and as lovable ever! I just love how these small little things have such big personalities! Don't you think so? Also for the Little Agenda fans, we've created these mini frames with Little Agenda Frames. 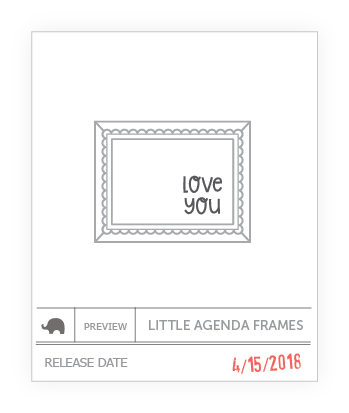 They are just the right size for all your Little Agenda cuties complete with equally cute mini sentiments! What can we say? It's the month where monkeys reign supreme around here! Luli Bunny is back with us with Birthday Monkeys. The set is full of delightful birthday bashing monkeys ready to celebrate any happy occasion! 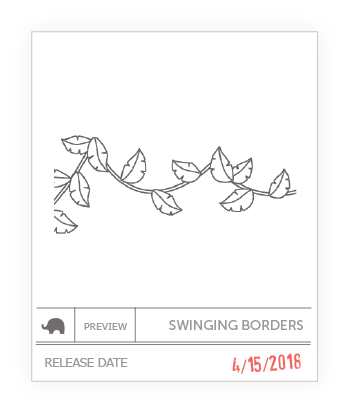 Last but not least, Swinging Borders round up this release as monkeys calls for some swinging around! You'll find 4 edge to edge border stamps great for creating some horizontal visuals on your cards! Not just for monkeys you'll find the borders super fun and versatile! That's it for previews! Which one has caught your eye? Join me back here tomorrow as we start our Introductions and share our projects. Ciao! Yay!!! Loving the little monkeys! So cute!! Gottta have them!! I love ❤️Mama Elephant!! Love love love! Can't wait to see more tomorrow! So cute! I cannot wait for the full reveal of the release!! Hooray! More Little Agenda stamps! I'm really looking forward to seeing the frames. OMG! I love these little monkeys! Gotta have them. Oooh those monkeys are adorable!! Birthday monkeys sounds like a whole lot of fun! I can't wait to see the full reveal of this set! Doggies and bunnies, now monkeys. OH, MY! I love the monkey with the camera! "Smile and say cheese!!!" Oh my gosh; I've loved monkeys since I was a little child! This is ADORABLE! And I love the mini frame!